The MPC Patch Test Kit (ASTM D-7843) is the latest development in determining a fluid’s deposit forming tendencies or varnish potential. This technology involves creating a patch (Reveal Patch Test Kit) and measuring the colour of the patch with the MPC Color or iLAB. The RULER (ASTM D-6971) allows you to measure the remaining useful antioxidants in your lubricants. 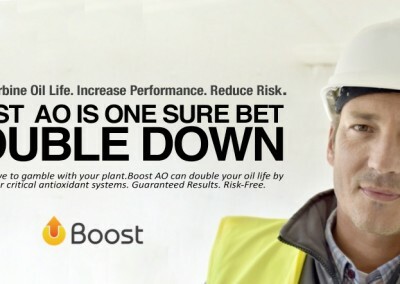 By very quickly assessing the lubricant’s additive health, you are armed with predictive intelligence on the condition of the fluid and imminent performance problems that are around the corner. 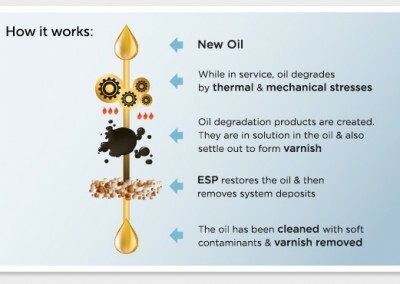 The ESP (Electrophysical Separation Process™) is a patent-pending technology developed for lubricant varnish mitigation. It absorbs dissolved and suspended oil degradation products, the cause of varnish – using an oxidatively stable filter media, engineered to selectively remove only the varnish-causing contaminants without disturbing the fluid’s additive system. 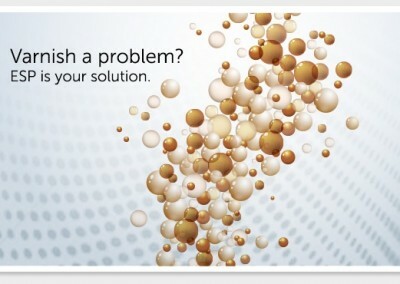 The CCS 218 is a brand new portable “all-in-one” solution that allows you to remove the most damaging types of contaminants in your fluid through one easy installation. The CCS218 allows you to removed Soft Contaminants, Hard Contaminants and/orfree Water from your oil by simply changing the easy to fit filters. 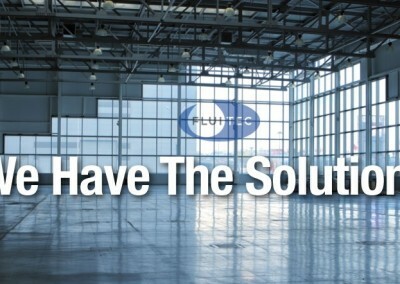 For removing soft contaminants the CCS 218 uses Fluitec’s patent-pending Electrophysical Separation Process (ESP) technology. For hard contaminants a microfiberglass filters down to 3 micrometres is used and high capacity adsorption filters are used for free water. Typical chemical cleaners contain detergents and dispersants, and even tiny amounts of residual cleaner can cause compatibility problems, threatening the performance of your new turbine or compressor oil. Fluitec’s newly developed Boost VR (Varnish Removal) is an inherently safe way of performing chemical cleaning that doesn’t impact your lubricant’s water reparability, hydrolytic stability or air release properties. The unique chemistry increases your oil’s solvency while re-solubilizing deposits.